Own the Game!™ Buy and sell your favorite teams on the World's First Sports Stock Market®. Build Your SportsFolio™ and challenge traders around the world to become a leader on the Global Sports Financial Exchange®. 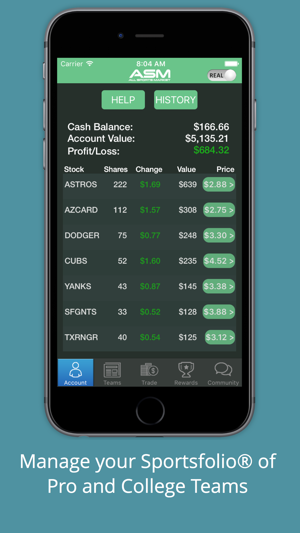 Learn valuable financial and investment principles while having fun in this real-time sports stock trading app. 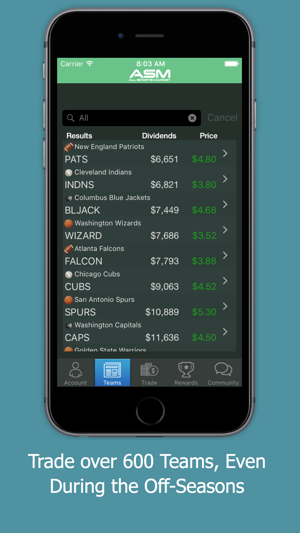 Watch your account grow as you Buy, Sell, Short, Cover, and earn Dividends every time your teams win! NFL Football, NBA Basketball, NHL Hockey, MLB Baseball, and College Football & Basketball are currently live and trading with Soccer and other world-wide sports starting soon. Your ASM Free! 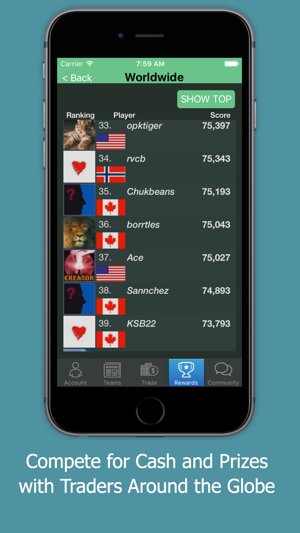 account automatically syncs across all your iOS mobile devices! Forget fantasy, this is REALITY SPORTS! 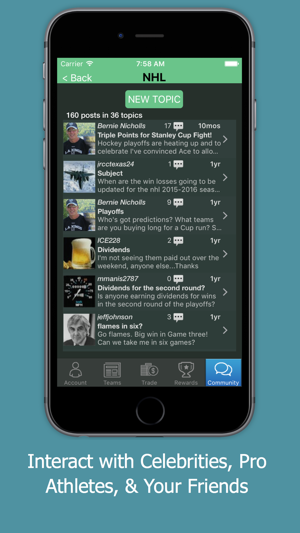 If you enjoy fantasy leagues you will love this app! 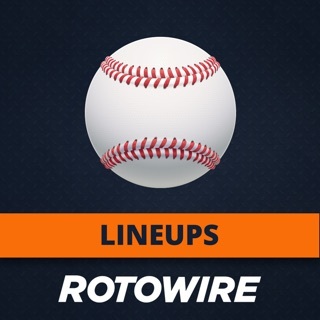 ESPN Fantasy Baseball players and Yahoo Fantasy Baseball players will feel right at home using your sports knowledge and enthusiasm to complete achievements and compete against your friends and the rest of the world. 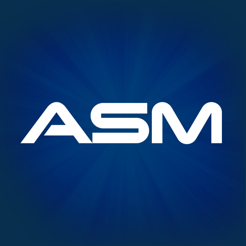 The AllSportsMarket forums built right into the app give you a voice in the Sports Trading community, and the referral system compensates you for telling your friends about ASM Free! The concept that ASM has developed is phenomenal! How this hasn’t happened already in a multi-billion $$ sports industry is beyond me. So, if you haven’t started buying and selling stock in your favorite teams or collecting dividends from them, then you need to get on it. But, this review is supposed to be about the app so let me get started: I give it 4-stars because it serves its purpose well and functions flawlessly from what I can see. If it wants to gain that 5th star then it’ll need to dress up the app a little bit by making it more aesthetically pleasing and bringing it to the level of 2018 app development. It also needs to include more functionality that is currently only found on the website and maybe add in some “Gucci” features that’ll attract more traders to the platform. Overall, it’s a great app for what you need it to do and effectively allows traders to be mobile, which is probably the most important aspect for the up-and-company at this point. Have you lived through or heard stories on how great it was to trade back in the day for the great opportunities to make money? Look no further! Trade sport teams in lieu of stocks in the same manner. Receiving dividends on wins and big price movements on big signings or trades. Have your favorite sleeper team? Buy them low and watch your money grow as they win,win and win. Give it a try, the opportunities are there. Fast, clean, Easy to use! This is a Fast clean and simple setup. 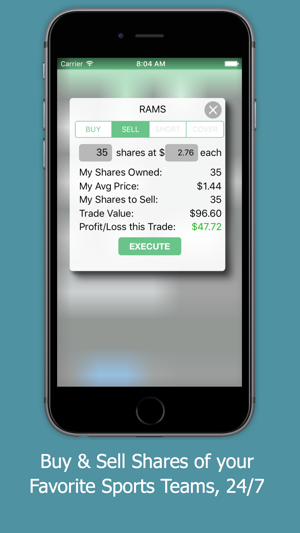 Quick way to check your Sport stocks on the go instead of having to go to the web. Looking for some more analysis of the stocks I own, also would like to see trending news ect. Also in the my stocks breakdown would like a column for cost basis and current market value. Also it took reading the Forum/FAQ to find every trade has a 1% commission that should be marked on every trade sheet. © 2017 Crystal World Holdings, Inc.